This might be relevant to those building Virtual PCs or those who are planning on testing using Windows XP. 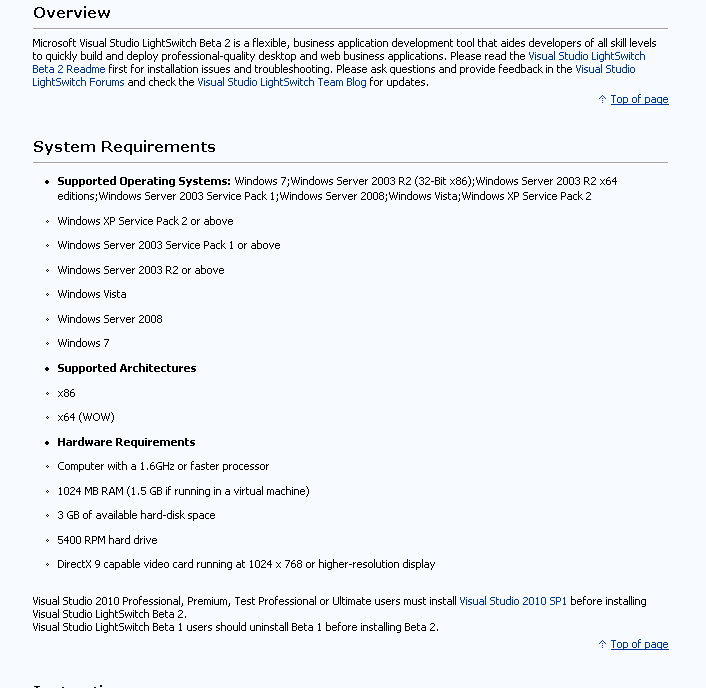 Contrary to the system requirements that are specified on the LightSwitch website, the minimum version of XP required is in fact SP3, and not SP2. 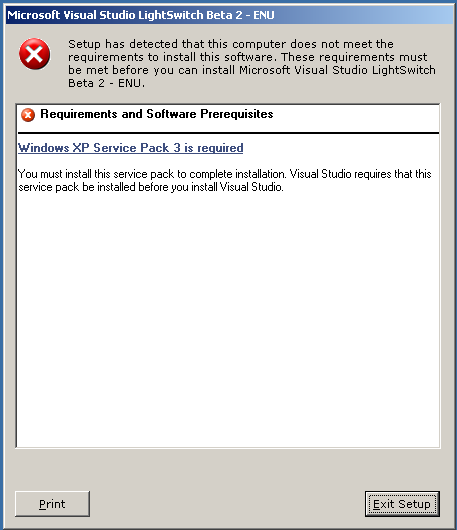 The following error is returned if you attempt to install LightSwitch on XP SP2. Illustration of what happens when installing under XP SP2. Tim Leung is a Microsoft .Net / SQL Server developer based in England. This entry was posted in LightSwitch. Bookmark the permalink. 2014 – Happy New Year! LightSwitch – In What Order do Screen Events Fire?